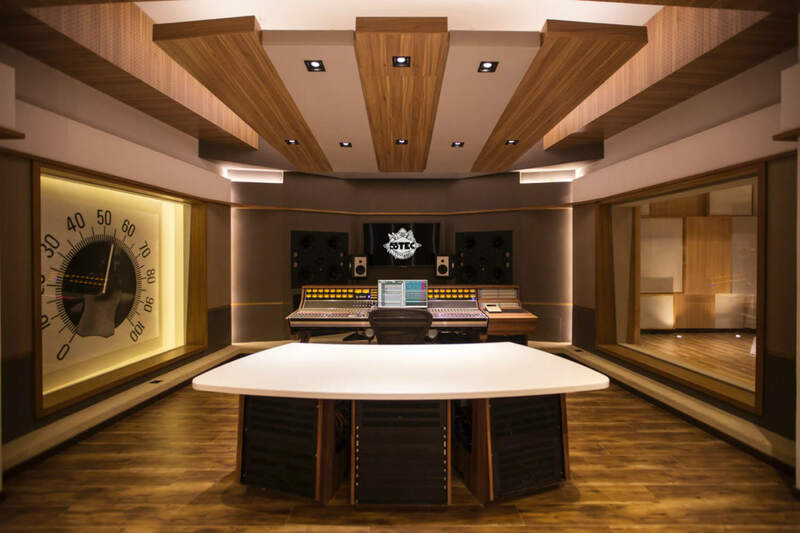 In announcing the completion of 55TEC Recording Studios owner Li You, a Golden Melody Award-winning recording engineer said, “With China now acknowledged as the world’s second largest economy, we have seen a tremendous increase in the market for popular music. Over the past ten years a number of major artists have developed huge loyal followings here. 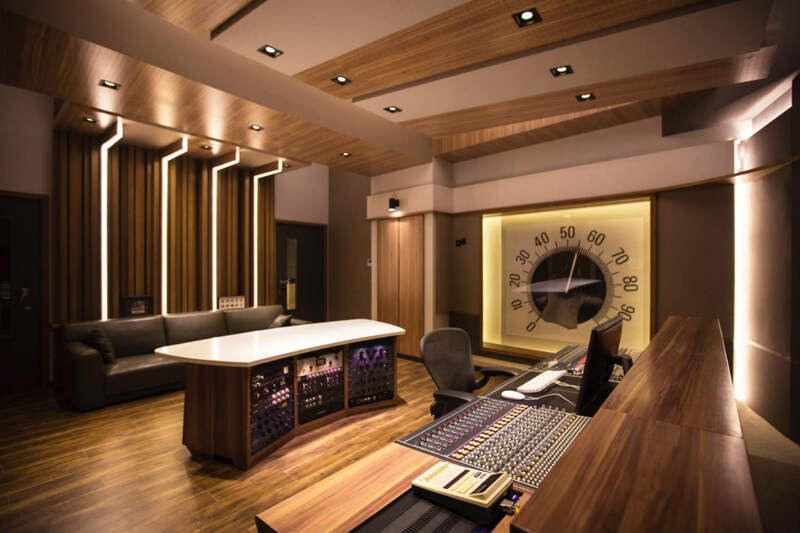 China’s appreciation of recorded music is enjoying phenomenal growth. 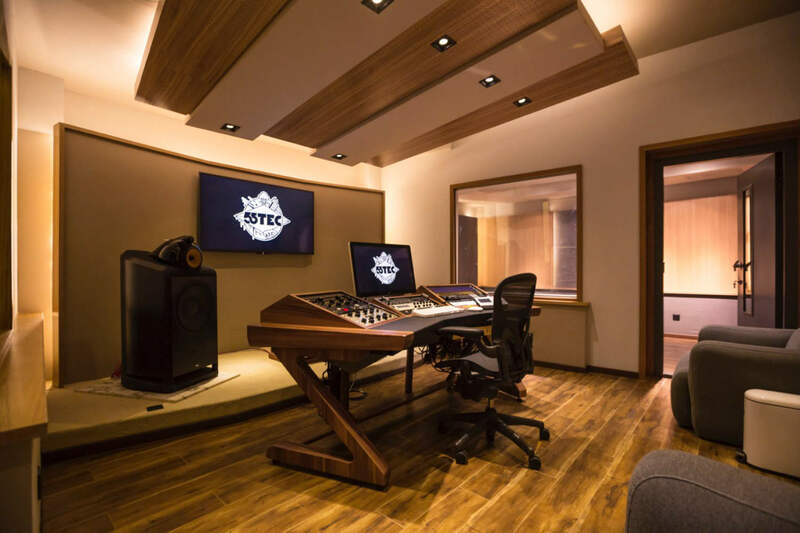 This time in our history appears ideal to establish a recording studio and record label to meet this demand.” To insure their ability to create the highest quality recordings, 55TEC owners reached out to WSDG. The 5000 sq. ft. complex features the 930 sq. ft. 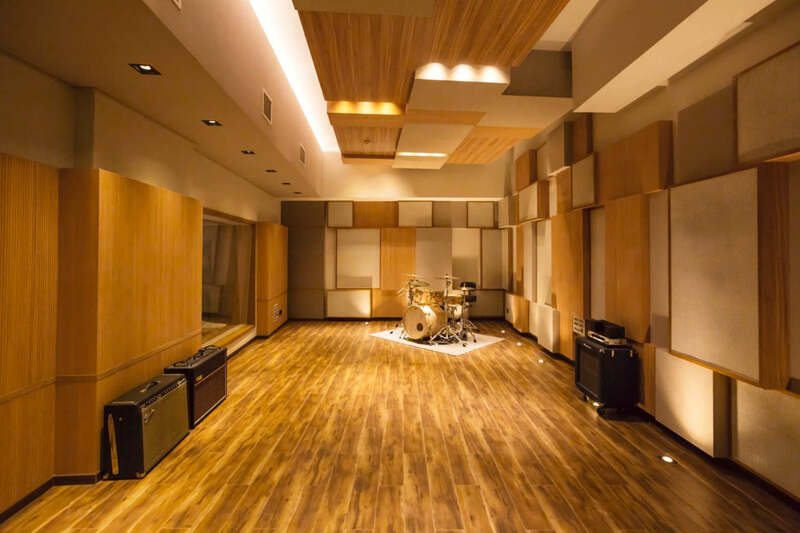 Studio A’s 500 sq. 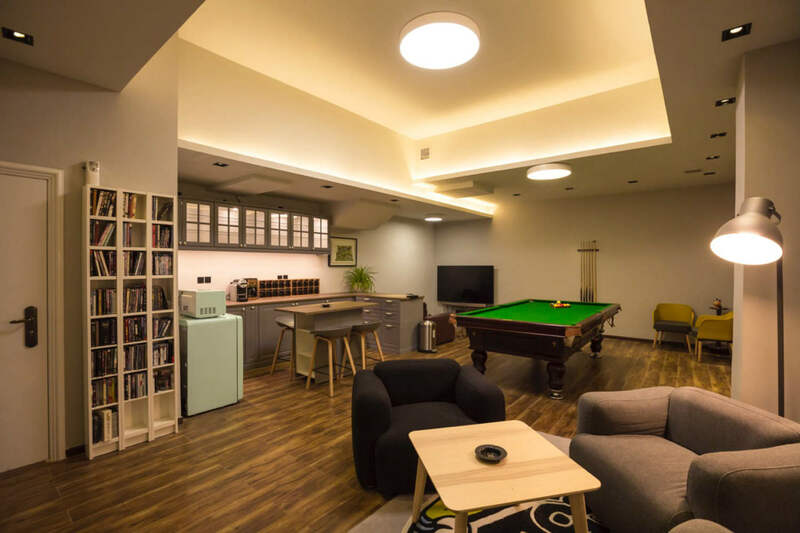 ft. Live Room and spacious 430 sq. ft. control room. 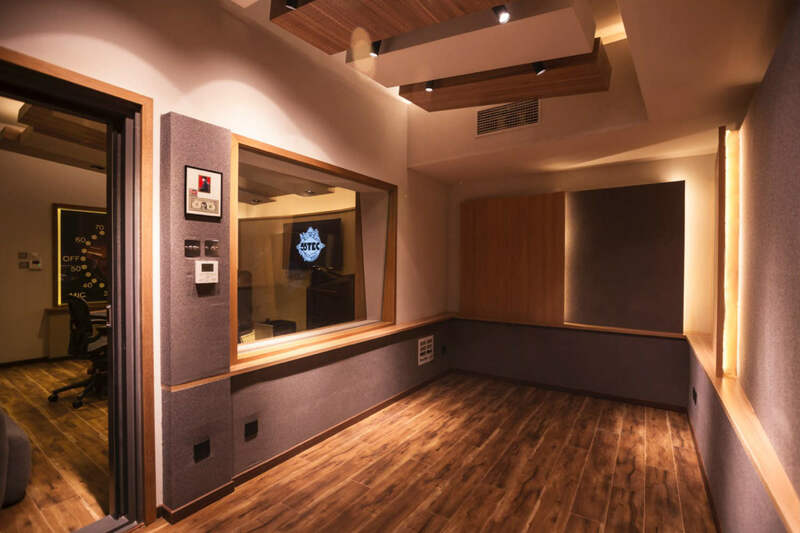 Mastering/Post Studio B offers a 230 sq. ft. CR and 150 sq. ft. ISO room. 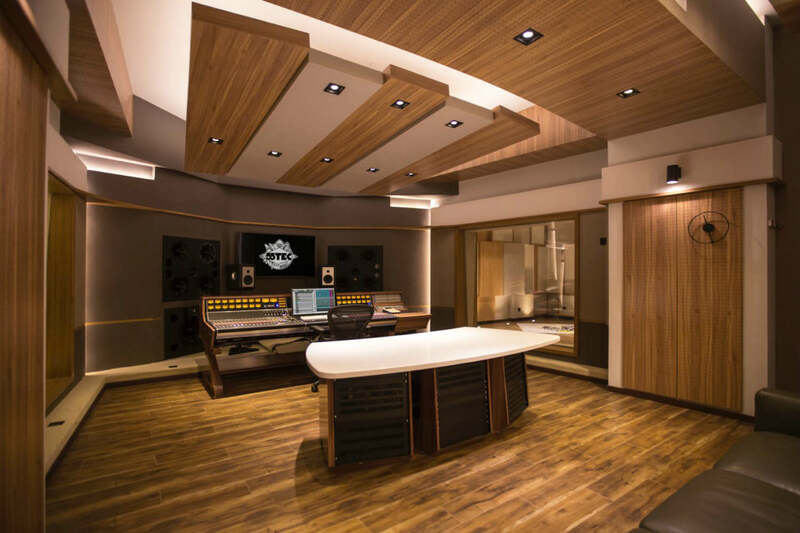 Top flight technology throughout the complex includes: Studio A’s API 1608 console, Quested Q412D, QSB118 and Barefoot MM35 speakers, Burl B80 Mothership, Pro Tools HDX and a host of impressive outboard gear. Studio B is outfitted, with Apogee Symphony 64, Grace Design M905, Meyer Sound HD-1 and B&W Nautilus 801 Speakers and a Jeff Rowland amplifier. 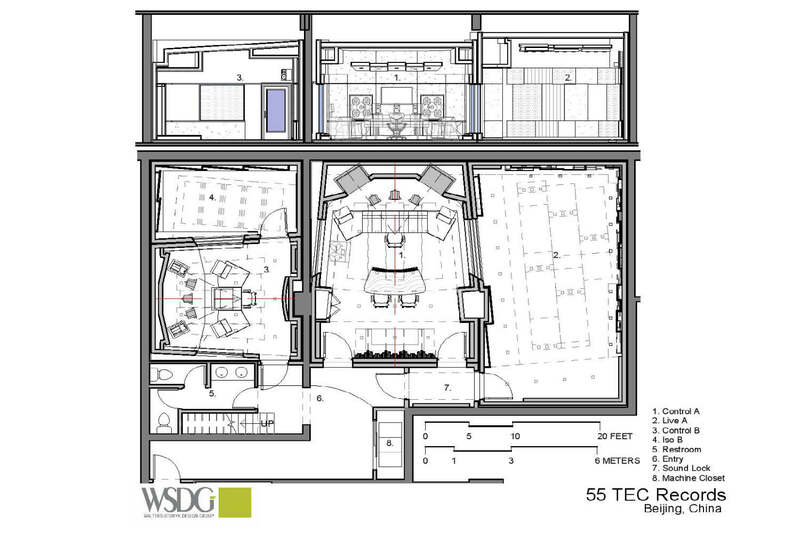 Handsomely detailed in perforated wood (and slotted metal) wall and ceiling trim, 55TEC personifies the WSDG commitment to ‘invisible’ acoustics. In contrast to more traditional wall mounted ‘variable acoustic treatments’ with reflective and absorptive finishes, recently introduced perforated’ wood surfaces provide exceptional room tuning options in addition to outstanding aesthetic design options. Vertical LED lighting units accentuate the clean, dramatic lines of CR A’s rear wall custom designed Diffuser. The custom-built producers desk at the rear of the CR serves double duty as as a fully loaded, three compartment, outboard gear rack. 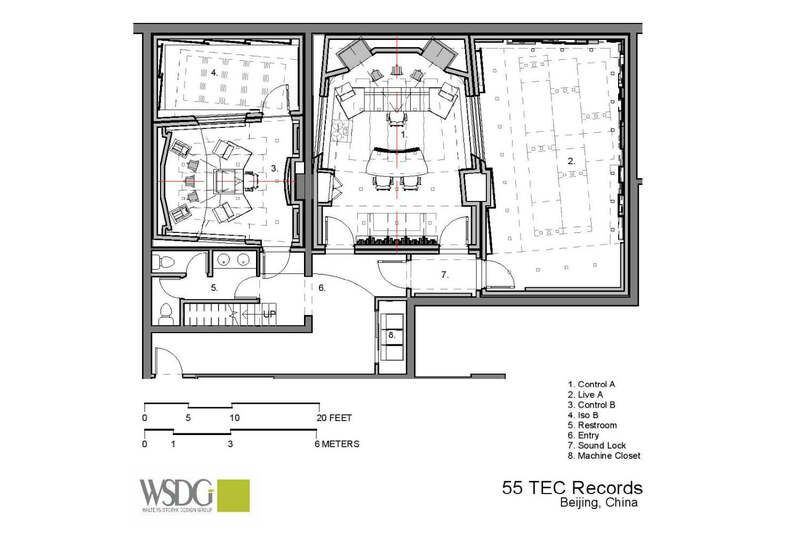 A 7’ w x 6’ h soundproof window provides full visual access (and 0 sound leakage) between the Live and the Control Room. 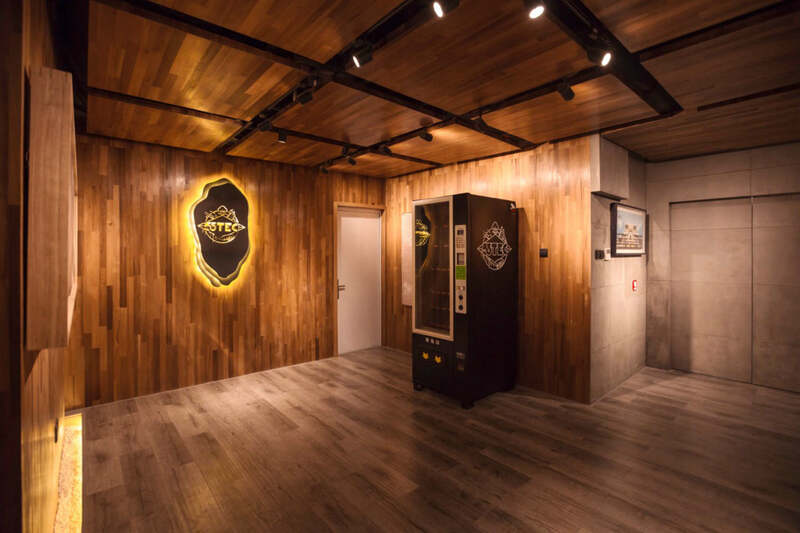 Featuring an interior design coordinated by WSDG Partner Silvia Molho, the studio also enjoys a spacious lounge, machine room and related support facilities. 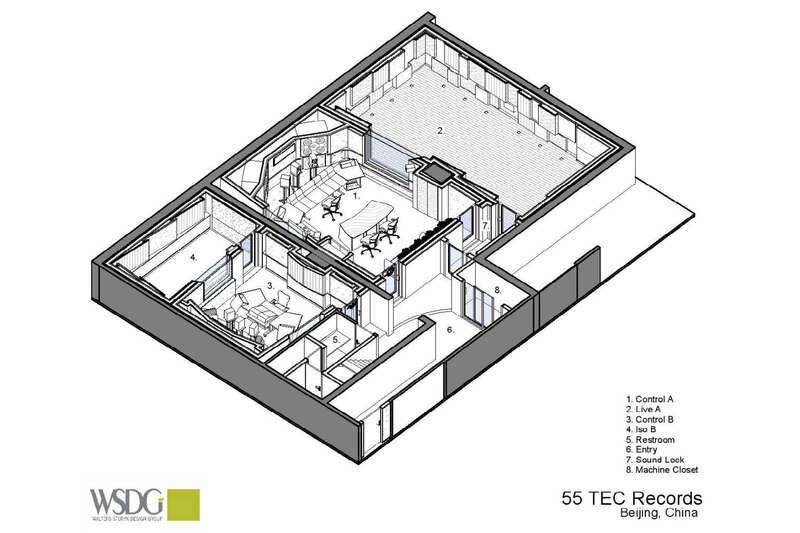 55TEC is an impeccable audio recording facility and a visual showplace.